Episode 2: Five diet "tweaks" to improve health (Grapefruit & Granola Podcast) | Nutrition Coaching | G & G Nutrition Co.
Hey guys! Listed below are the show notes for episode 2. They are more in-depth than some other show notes you will see because this was a solo question. I answered a listener question in this episode. Here’s the iTunes link to the podcast in case you need it! If you enjoy it then pleaseee subscribe. Thanks! 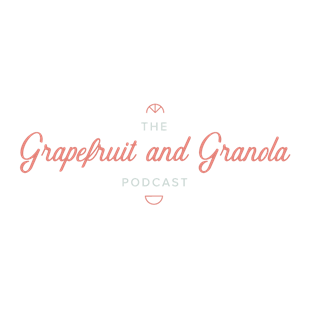 Hello friends, and welcome to episode 2 of The Grapefruit and Granola Podcast. I’m recording this episode as we enter into 2018, and I hope you’re having a fantastic new year so far. I don’t know about you, but to me it feels refreshing to have a time of the year where we are encouraged to evaluate everything going on in our lives, evaluate who we are as people, and to even evaluate our health and wellness. Sometimes we don’t stop and look at the bigger picture so it’s nice to have a reminder over the new year that we should stop and do that. I also think we do just a need a time when someone gives us permission to have fresh start, and for a lot of people that happens over the New Year. So I hope 2018 is the happiest, healthiest year yet for you. I thought it would be fun to kick off each episode by sharing a weekly high and weekly low with you here on the podcast. I thought this would give you an opportunity to get to know me better, and I think that we as women sometimes have a hard time sharing when we’re struggling with something, so I feel like that’s really important to talk about. And in the spirit of the new year, I actually wanted to talk about the high and the low of my 2017. I learned a really important lesson last year and I feel like it’s one every women listening can benefit from. So last year on January 1, I launched my private practice, a nutrition coaching business called G&G Nutrition Company. And I spent a lot of the beginning of 2017 feeling like I was kind of drowning. I just felt like my plate was overly full, and that I was not really being true to myself. And to be completely honest- I took a hard look at myself over the summer and realized that I was trying to be the person and the business owner I thought I had to be, instead of doing the things that I knew deep down were the right fit for me. And by doing that, my business was honestly kind of stagnant. I was also pretty unhappy. I knew I needed to hit the resent button. So I had to take a step back and re-evaluate how I could run my business and live my life in a way that was truly authentic to me. I also had to consider how much much I could fit on my plate while still taking care of my physical and mental health. After that, I knew I had to stop being the person I thought everyone wanted me to be and to just start being myself. I made a commitment to make choices that felt right to me and to also say no when my plate got too full. And it was hard at first but then let me tell you- doors started to open. So ladies- I really feel that in 2018 it should be the year that we are proud to be ourselves, because even when you are different, you still have something to bring to the table. 2018 should also be the year that we surround ourselves with people who love and respect us for who we are, both on the inside and on the outside. And hopefully it can also be the year where we make our health and wellness a priority in our lives if we don’t already do so. And I hope this podcast can be a little part of that. If you would like to share the high and low of you 2017, and anything awesome that you learned about yourself, then please join the G&G Nutrition Community, which is our private Facebook group. I would love to hear from you! I’m sure there will be some episodes where I will answer several questions, but today’s question is so great that it ended up taking up an entire episode. Before I get to answering this question, I want to just talk about the question itself. because it mentions making changes to your diet that aren’t too inconvenient- which I felt like kind of insinuates that most changes in your diet to improve health may feel inconvenient, or have to feel inconvenient, which isn’t really the case at all. I think society is to blame for this, we are under the impression that we are not making healthy changes or living a healthy life unless we do something drastic. Like a small change doesn’t count but a drastic change does. And I think that doing things that are drastic often times feel very inconvenient. So let me give you a few examples. Like if we are trying to eat healthier, we feel like we are not doing it the right way unless we’re completely overhauling our diet, and cutting out this and that. And even on the exercise front, like our physical activity doesn’t count unless we are spending A LOT of time intensely working out. But guys, this is really such a backwards way of thinking when it comes to nutrition and wellness. We should really be ditching the all-or-nothing diet mentality and embracing that grey area- where we can be healthy but still enjoy the foods and habits that we like. 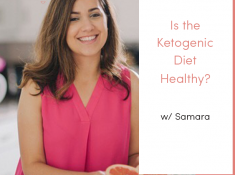 And I think it’s so important to talk about this because if you are making a change to your nutrition and wellness, whether it’s with exercise or eating or whatever- and it truly feels inconvenient, and it’s hard to fit into your life, and it’s hard to maintain… then it’s probably not the right change for you right now. If you’ve never heard of BJ Fogg, he’s a researcher at Stanford and he’s an expert in behavior. If you are interested in learning about behavior change and creating habits then I highly recommend looking him up. He talks a lot about how habits are maintained when they truly fit into our life. And that when we don’t stick with a habit we blame it on willpower, when in reality the issue is with design- we should have designed that habit to fit into our life better. And he has studied exercise and wellness habits, and it’s really so true. If you make a change that’s drastic or feels inconvenient then that’s a design flaw- and you’re probably not going to stick with it. Something that I really work with my clients on is making the connection that small changes that are a good fit in your life are going to be the things that stick with you. If it feels hard, and it feels inconvenient, then that’s probably not a good place for you to start. So I will give you my top 5 diet tweaks here. Please keep in mind that this podcast is all about embracing the grey area of wellness. 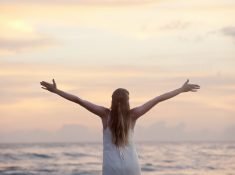 Maybe some of these tweaks will resonate with you, and maybe they won’t- and either way- thats OK. Nutrition is NOT one-size-fits all. The first tip is to make sure you’re drinking enough fluids to stay hydrated. Being properly hydrated is SO important, it’s something we talk about all the time, and at least in my practice it’s the most-often ignored piece of health advice out there. So why is this important? Sometimes when we are thirsty, our body mistakes this feeling for hunger. So we eat when in reality we are thirsty. And If you’re walking around chronically dehydrated then it will be harder for you to be able to listen to your body. Your water needs are really specific to your own body and your activity level. A good starting point is 8 cups per day. Most fluids count towards your hydration except for alcohol, which dehydrated you. water is always great. We used to think the caffeine dehydrated us and shouldn’t count towards our hydration but we know now that’s not really true. I like to make a good rule of thumb to focus on non-sugary beverages when your trying keep track of your fluid intake. We know having a lot of added sugar can make us not feel so great and they are associated with chronic diseases like diabetes, high blood pressure and high cholesterol. If you are someone who is drinking a lot of sugary beverages each day then I’d encourage you to start small and focus on what ADDITIONS you could make to your fluid intake that would ultimately decrease your sugary beverage intake. So for example, maybe instead of drinking sweet tea, you’re going to mix your glass with 1/2 sweet tea and 1/2 unsweet tea. Or maybe if you’re drinking a lot of regular soda then you might say you’re going to add 2 glasses of sparkling water to your day. Focus on the addition part and add something that you are either really going to like or at least something that you’re not going to mind. I also wanted to mention that I’m not saying never have a specialty coffee treat or never drink a soda ever ever ever. I am saying to listen to your body and be mindful. I love to get a pumpkin spice latte from Starbucks. I know this has a TON of added sugar. For me, it’s about the experience of treating myself to something and enjoying my beverage on a coffee date with friends. And I also recognize this drink can be very filling to me as well. So just tune into your body and really enjoy the experience. Eat breakfast. Eating breakfast, and getting in some protein in the morning, is a great way to keep your metabolism regulated and to keep your hunger in check throughout the day. Don’t make breakfast complicated if you don’t have time for that. Something like a bowl of cereal thats high in fiber is great, yogurts a good option, even something like a piece of fruit with a string cheese stick. Just something to get your day started out on the right foot. I have another episode with Lauren, a dietitian who wrote the Protein Packed Breakfast Club, and we really delve deep into why you should have a protein-filled breakfast so I don’t want to give too much away but stay tuned for that in a couple of weeks. If you’re going out to eat or ordering something out, avoid ordering the large size of things if you’re not hungry for that, even if it will save you money or even if it makes you feel like you’re getting more bang for your buck. We know, because studies have shown us, that we’re more likely to eat things when they are in front of us even if we already feel satisfied. So if you fall into this category then I would just be mindful of this. If you’re going out to eat and you know portion sizes are large- and you are going to be completely stuffed, then another great idea is to split items with a friend. Just remember to stay in check with your body. You can always order extra if you still feel hungry. Add a serving of fruit or vegetables to your day if you are not getting enough of one or the other. This is a great way to add in extra nutrients to your day. Many fruits and vegetables have fiber which will help to make you feel satisfied. For fruits, I would recommend either fresh fruit, or frozen fruit that doesn’t have added sugar. I don’t think canned fruit is bad by any means but you’re missing out on the peel of the fruit which is a great source of nutrients. And for vegetables, I would recommend sticking with a non-starchy vegetable. Starchy vegetables get a bad rap, and I’m not saying don’t eat them, but just for this tweak we know that most people already get enough starchy vegetable in their diet. A salad is a great addition but there are also SO many other options to choose from. My favorite non-starchy vegetable is roasted asparagus, just because it’s so simple to prepare. You literally just trim off the ends, season it and pop it in the oven. I hope you have enjoyed these 5 tweaks to your diet that can have a big impact on your health. As you can see, none of them are overly complicated or inconvenient. If the idea of even tweaking 5 things seems like a lot but something we talked about really resonated with you, then start there. Nutrition and wellness is NOT one size fits all. Do what works for you. I HOPE YOU HAVE ENJOYED THIS EPISODE AND I will talk to you next time!